Flooded Basement Toms River, 24/7 team! A flooded basement can cause a great deal of structural damage but when you contact 911 Restoration New Jersey our flooded basement Toms River unit in a timely manner we can stop the damage from progressing and restore the home to new. 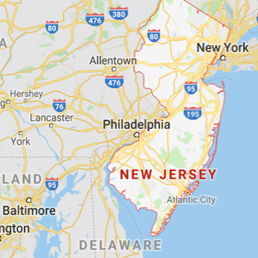 With over 90,000 residents living in Toms River, Ocean County’s county seat, our company works around the clock to provide the top water damage restoration services in the industry to each and every home and business in need. We have over 35 years of experience and our flooded basement Toms River staff go above and beyond in performing the most advanced water extractions, so call us today! How Does a Basement Flood? A basement typically floods from plumbing disasters or bad weather, and you can trust our flooded basement Toms River team to solve your water damage emergency. One of the many reasons a basement floods is because of roof water. If you don’t properly drain roof water off your house, it can cause other major problems in your home. Gutters and downspouts can get blocked easily if they’re not cleared out on a regular basis. Often our flooded basement Toms River team sees basements flood due to lack of proper drainage. If you live in an area that sees a lot of storms, heavy rain and floods, you could see rising flood water cause issues in your basement. Another major cause of flooded basements comes down to plumbing problems. A toilet overflow or sewer backup can cause pumping water or raw sewage to flood your basement and cause damage to its constructional materials. When you learn about 911 Restoration New Jersey you will discover that we are licensed, insured and bonded to provide all flooded basement repairs. Call our flooded basement Toms River team right away if you have hazardous waste in your home so we can remove it immediately! How Do I Stop a Basement from Flooding? Our flooded basement Toms River crew members say that installing sump pumps in your basement is an effective way to stop it from completely flooding. Call our flooded basement Toms River team anytime to get helpful advice on how to keep your basement from flooding. We can help you install sump pumps that automatically drain groundwater away from your home’s foundation. This is a very helpful measure to keep your basement from flooding and could save you thousands of dollars in water damage repairs. Also make sure that you regularly clean out your gutters and downspouts to keep water from seeping into your house and causing floods. Install a sewage back flow valve to keep raw sewage from ever entering your home. This is helpful because it’s a very protective safeguard that will keep your family from coming into contact with human waste, a definite health hazard. Always check your appliances’ hoses for signs of wear and tear to prevent ruptured hoses from flooding your basement or laundry room. And call our flooded basement Toms River team any time; we are available 24/7 and can restore any basement to its previous condition in no time using the latest drying technology! Why is 911 Restoration the Best Water Removal Company? Simple; 911 Restoration is the best water removal company because we are number one in customer service and our flooded basement Toms River team has been honored by customers since 1978. When you check out our testimonials you will see first hand just how skilled and thorough we are. You will have total confidence in trusting us to get the job done because our dedication to always put the customer first and the fact we value professionalism is reflected in our client reviews. The longer water stays in your home, the more likely it is to cause mold and mildew. So call today for a free inspection, and for the best services in the state!